Basketball Registration is NOW OPEN!!! Registration is $65.00 and includes your youth’s uniform (shirt and shorts). 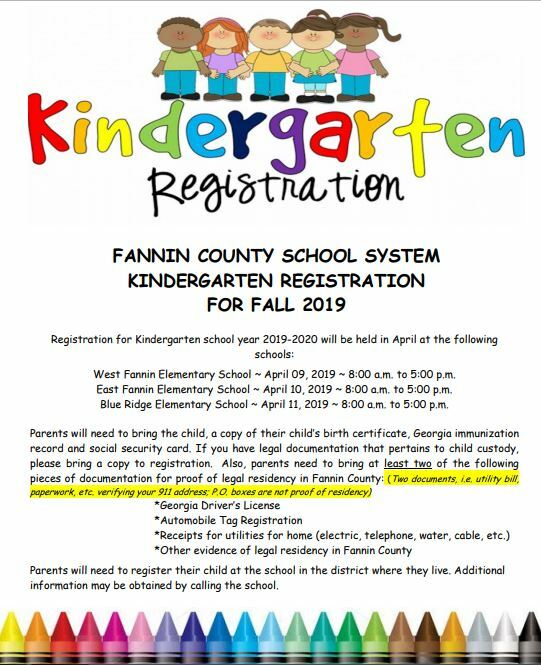 5 – 14 year olds may register online or at the Fannin County Rec Center. (Birthday cutoff is January 1, 2018). Registration will close on October 20th and evaluations will be the 23rd and 24th depending on your age group. Drafts will be Wednesday the 25th. 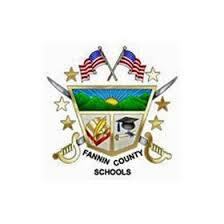 Schools in Fannin County will open on Friday, August 4. Prior to this start date, Fannin County High School (FCHS) will hold two Open House Sessions. The Upperclassmen Open House for 10th – 12th graders will follow the usual format on Thursday, August 3, from 1 to 5 p.m. There will be a special Open House for incoming 9th Graders on Wednesday evening, August 2, from 5 to 7 p.m. All 9th graders and parents are invited and encouraged to participate in this unique and customized opportunity. For the Ninth Grade Open House on Wednesday, August 2, students and parents are asked to report to the FCHS PAC at 4:45to receive their fall class schedules from their homeroom teachers. Students and parents will then participate in a “mock day” by attending each class for approximately 20 minutes. Teachers will provide students with a syllabus and expectations for their class. This 9th Grade Open House will provide our freshmen and their parents the opportunity to learn their way around the school and meet teachers on a more personal basis. If a 9th grader is unable to attend on Tuesday evening, they, of course, can attend the Upperclassmen Open House on Thursday, August 3, from 1 to 5 p.m. However, students will not participate in a “mock day” schedule on Thursday. Registration for girls volleyball begins on Dec. 5th & ends Feb. 3rd. It is for girls that are in 2nd thru 8th grade. The registration fee is $65.00. Participants can register online at www.fannincountyrecdept.org or in person at the Recreation Center. The new volleyball league will consist of Fannin, Dawson, Lumpkin, & White County so there will be some travel involved. Please contact us with any questions 706-946-1130.